KERATINE Perm There is 1 product. A keratine curling lotion that works beneath the cuticles without lifting or damaging them. 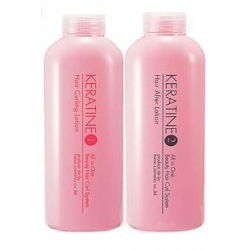 Can be used immediately after coloring and chemical straightening without creating frizz.